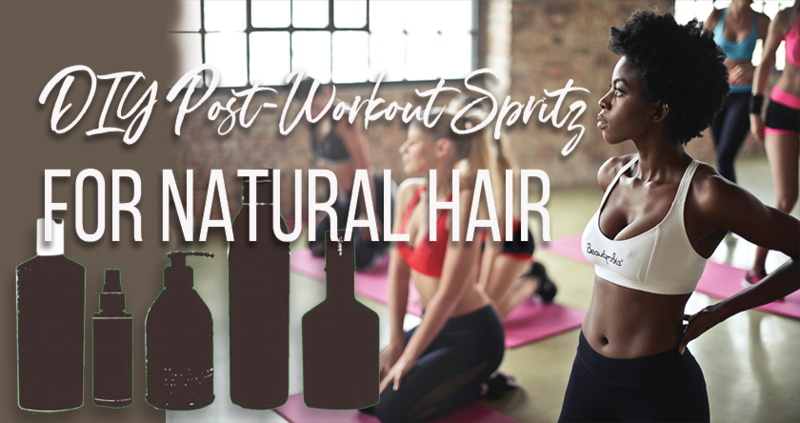 Natural hair has its benefits when it comes to working out, but while staying active you can experience a lot of sweating in the scalp. Although sweat is only a mixture of salt and water, it can be harmful to your hair overtime. Sweat can dry out your hair and eventually lead to breakage. Washing your hair every time you sweat may be inconvenient as well as impractical if you work out several times a week. Fortunately, there are ways to maintain a refreshed, clean, and healthy scalp until you can have a wash day. These essential oils contain potent anti-bacterial agents which heal and soothe scalp infections. Peppermint oil has stimulating and cleansing properties that can leave your natural hair fresh and clean., with a bit of a tingly zing. Tea tree oil is especially well-known for its powerful antiseptic, antimicrobial, anti-inflammatory antibacterial and anti-fungal properties. Because of the potency of tea tree oil, it is best to use 5-10 drops per one cup of water. The essential oils of peppermint and tea tree both help to maintain a clean scalp by removing dirt and treat dandruff. Sea Breeze is a mild astringent that helps remove trapped dirt and oil. Its main ingredients are alcohol, Glycerin, Benzoic Acid, Camphor, Clove oil, and Eucalyptus Oil. Combined, these ingredients penetrate the pores of the skin. If you are concerned about the drying properties of an alcohol product, you can omit the Sea Breeze and use more of the tea tree oil which is also antiseptic. Another alternative that you can use is Witch Hazel — a natural astringent from the Witch Hazel plant. It contains anti-inflammatory properties like tea tree oil and helps to keep bacteria from growing on the scalp. What are you using to refresh your scalp after a work-out?